Through our webinar you will learn the definition of a Federal Government Contractor (FGC), the opportunity and the benefits of using Chubb as the trusted insurer. 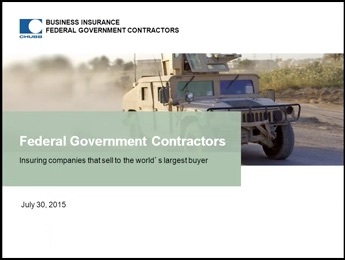 What is a Federal Government Contractor (FGC)? Thank you for your interest in learing more about Federal Government Contractors.